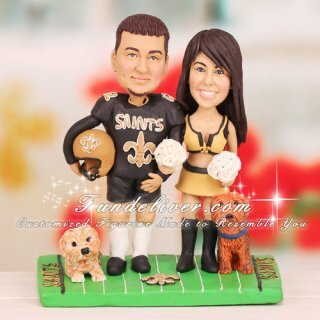 This is a completely customized New Orleans Saints football themed wedding cake topper ordered by one of our customers. 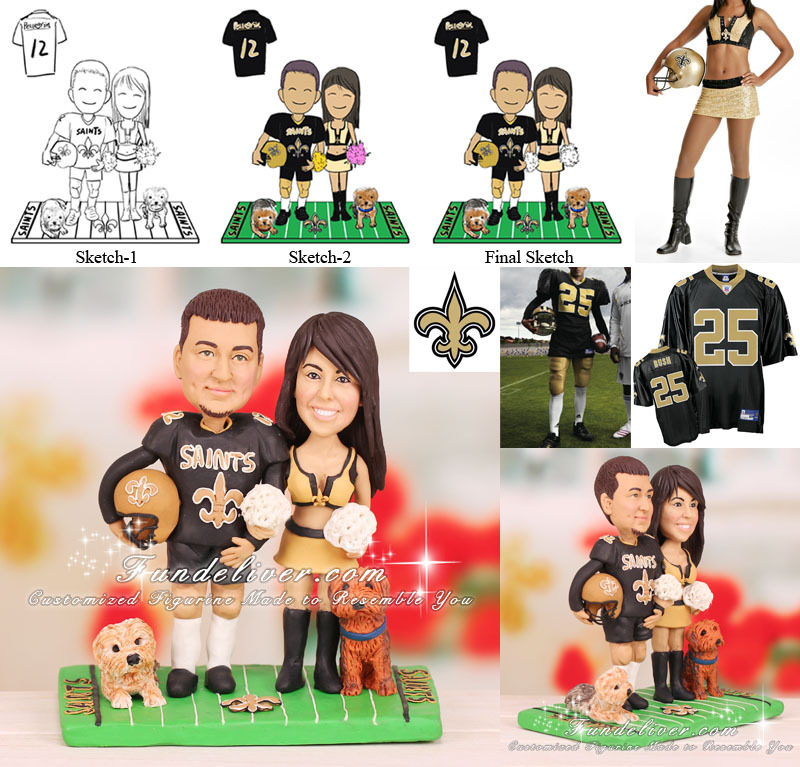 They would like the bride to be in Saintsations cheerleading outfit with long straight hair, holding white pom poms and groom to be in black New Orleans Saints jersey with a football helmet under his arm, standing on green football field with SAINTS in both endzones in black letters with gold outline. They would like to put Pellegrin and number “12” on back of groom’s jersey and just saints with a gold fleur de lis on the front, also add two dogs on each side of the couple. One wears a red collar laying down, another is sitting and wears a blue collar. Same football sports fans? This football cake topper will score a touchdown. And the more exciting part is you can get your favorite football teams involved in your football cake wedding toppers to reflect your personalities and wedding themes.